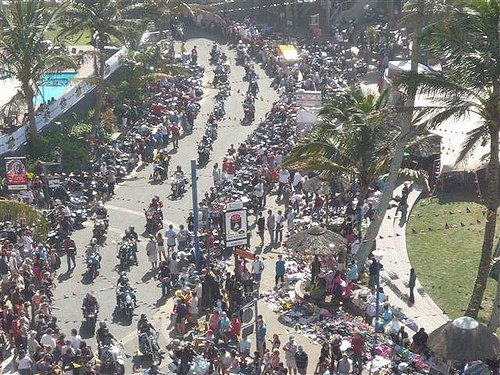 Africa Bike Week 2014, the largest free motorcycle rally in South Africa, is taking place for the 6th consecutive year, from Thursday 1 May to Sunday 4 May, in Margate, KwaZulu-Natal. Thousands enthusiasts are attracted to the event every year to enjoy an array of exciting activities for the whole family. Margate completely transforms into a motorcycle friendly town for the four days and one can expect to see thousands of people and bikes on beach road during the weekend. Activities include everything from a ‘Jump Start’- where one of Harley’s iconic and powerful motorcycles is placed on a stand for anyone to get the feeling of riding a Harley® without worrying about balance- to the Harley-Davidson Riding Academy for those interested to learn how to ride. Free demo rides will also be available for riders who want to try out one of the newest Harley-Davidson models, and a Ride In Bike Show will allow anyone to register their customised bike in the competition. One of the main attractions of Africa Bike Week is the Mass Ride which will again take place on Sunday morning, where thousands of bikes are expected to ride a 34 km circular route. Visitors can also expect to see Harley-Davidson dealers, exhibition tents, 2014 Harley-Davidson models, family entertainment and an Aftermarket Village. A great entertainment line-up will also keep you rocking well into the night. Some of the performers who will take to the stage during the weekend include Dozi, Nova Rise, Madison Band and DJ Fistaz to name a few. 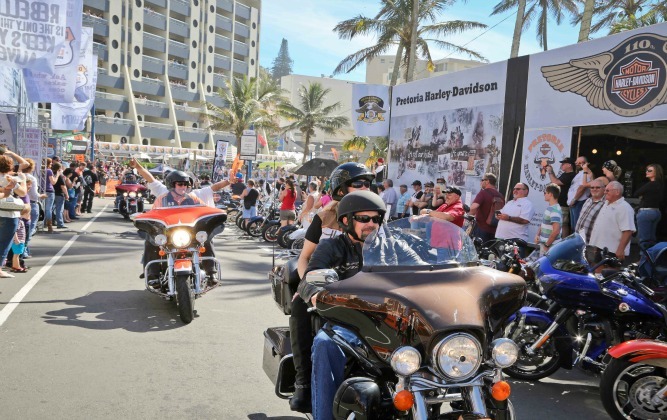 Harley-Davidson has again partnered with Hibiscus Coast Municipality, UGU Municipality and South Coast Tourism and sponsors Jack Daniels, Carling Black Label, Jeep and Shelly Centre to make Africa Bike Week possible. The event attracts anyone with a passion for freedom and motorcycles and is free to attend. For more information you can visit http://www.africabikeweek.co.za‎or follow the hashtag #ABW14 on Twitter @HarleyAfrica and Facebook www.facebook.com/HarleyDavidsonAfrica.